Queen Elizabeth II hosts a Christmas luncheon every year a few days before the festive days like Christmas Eve and Christmas, which she celebrates only with close family. Many royals members attend the event, and fans love seeing the outfits everyone has chosen. This year is particularly special because of Meghan Markle’s pregnancy. Let’s move on to the details of the party. 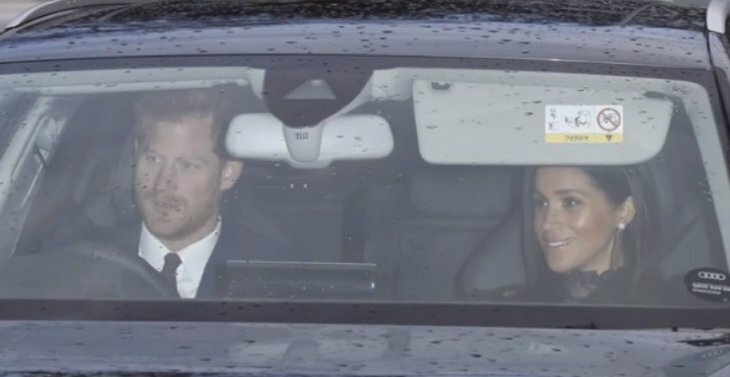 Meghan Markle and Kate Middleton have arrived at the Buckingham Palace for the annual Christmas lunch. The event is hosted by the Queen every year. It welcomes the extended family of the royal members. Only the immediate family is allowed at the traditional Christmas dinner on December 25. So this festive luncheon gives everyone a chance to reunite for the season. Of course, the two women who make up the "fabulous four" of the royal family looked terrific. That is, even from the view outside their vehicles. Middleton sat shotgun as husband Prince William drove the family's Range Rover. 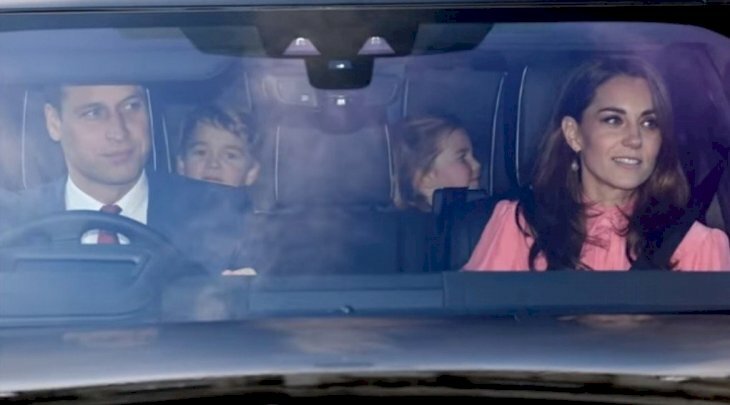 Princess Charlotte, three, and Prince George, five, were accompanied by their nanny at the back. Middleton, 36, looked bright as always in a faded pink blazer. She glowed as she gave the cameras a smile and a wave. Her brown locks were let out in typical Middleton fashion. As usual, she appeared to spot a natural makeup look. 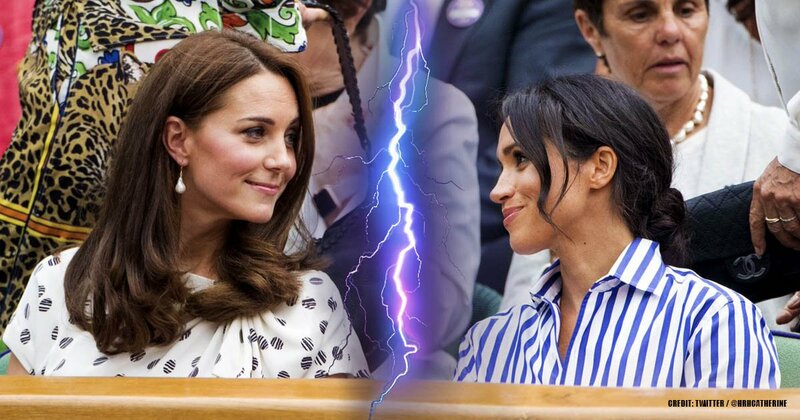 The tension between Middleton and her sister-in-law Markle is reportedly on the rise, but both women seemed to be in good spirits for the event. Markle's outfit was a little darker. 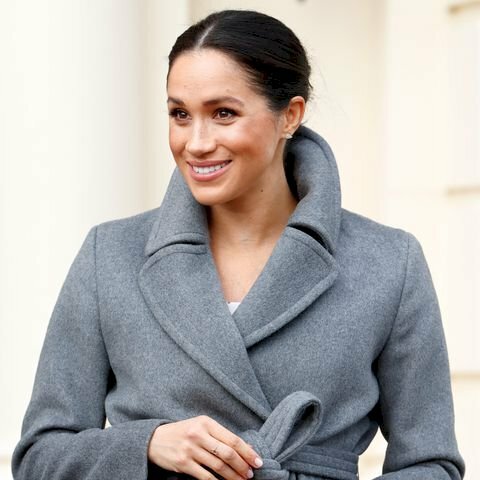 The Duchess of Sussex appeared to be wearing a black dress with a lace-trimmed turtleneck. Her dazzling earrings shone through the windows. The 37-year-old sat next to Prince Harry and smiled as she made her way to Buckingham Palace. The couple is expecting their first child in Spring 2019. Also present was the Duke of Edinburgh, 97, Prince Charles, 70, was without his wife the Duchess of Cornwall. Prince Andrew, 58, and Princess Anne, 68, were also attending. In the younger crowd, Peter Phillips, 41, was accompanied by wife Autumn. Princess Beatrice, 30, left fans wondering where her sister, Princess Eugenie, and her new husband, Jack Brooksbank, were. Several other members of the royal family were happy to be at the traditional lunch. After that, only the immediate royal members will stay at the Sandringham estate for Christmas. Next year, Markle and Harry are expected to break off from the Kensington Palace where they have been living with the Duke and Duchess of Cambridge and their three children. The couple will move to Frogmore Cottage to raise their newborn. The expected child looks to be growing fast based on Markle's recent photos. Just a few days ago, Markle made her last appearance before the holidays. 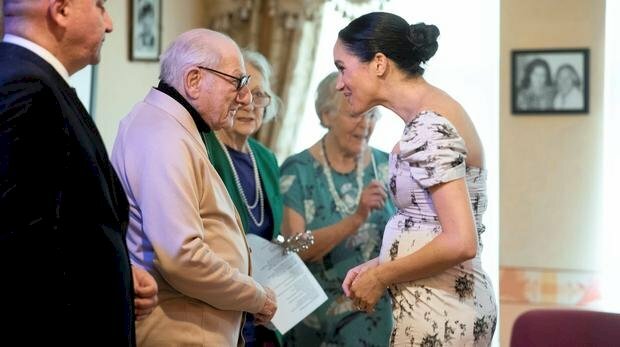 She visited a nursing home wearing a form-fitting floral dress that showed off her growing bump. Speaking to former entertainers, the Duchess said she was feeling "very pregnant" that day. This was shown throughout the visit as the Duchess constantly cradled her tummy. 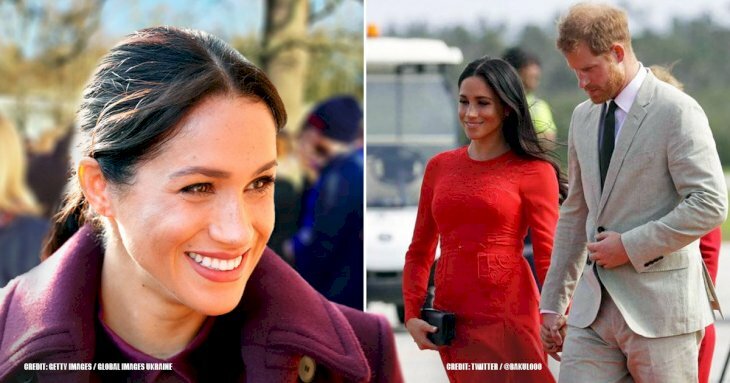 Regardless of how pregnant she was, she looked to be the definition of grace in the £834 floral dress and a £550 coat by LA label Brock Collection and Canada's Soai & Kyo respectively. Whether it's nursing home lunches or palace meals, the Duchess knows how to impress with her fashion-forward looks. As we mentioned earlier, several people did not attend the event such as Camilla Parker Bowles, and the recently married couple, Princess Eugenie and Jack Brooksbank. 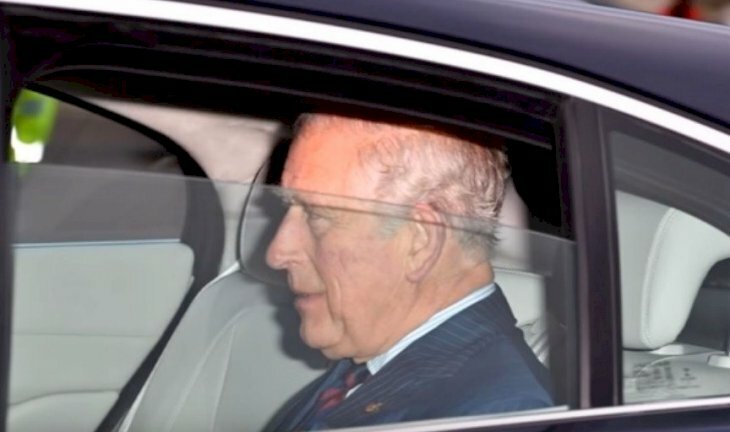 However, the Duchess of Cornwall was absent from the party because of health issues, but it is nothing to worry about just yet because it’s just a cold, as announced by Clarence House. After all, winter is here, and every time the weather gets cold, some unlucky people catch the flu. Aside from missing the luncheon, the Duchess had to cancel her attendance at the Olympia Horse Show. The newlyweds had also taken ill when they attended the premiere of Sharkwater Extinction, the night before the party. 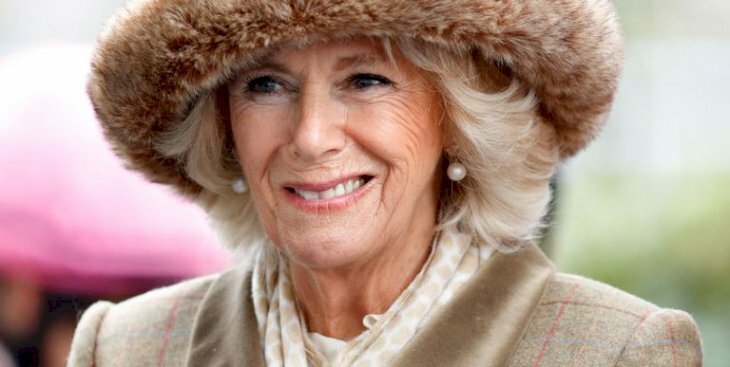 The public hopes that the couple and Camilla get well for the celebrations slated for next week at Sandringham Castle. The Queen is reportedly already at the estate getting ready to end the year just like they do every time. According to People, the Duke and Duchess of Cambridge will not travel up to Sandringham. Instead, they will stay in Anmer Hall with their three children. 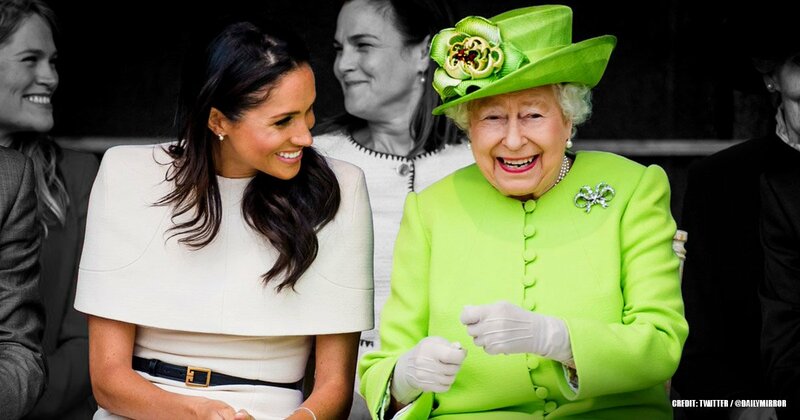 On the other hand, the Duke and Duchess of Sussex are definitely spending the holidays with Harry’s grandmother. Therefore, there will be plenty of photos of their Christmas Day as they walk to St. Mary Magdalene for the Christmas Day mass. Meghan attended this service for the first time last year after announcing her engagement to Prince Harry. In regards to Meghan Markle, aside from her dark outfit for the luncheon, people also noticed a gold ring on her finger with a “Hamsa”, which is the symbol of an ancient God featuring a hand with an eye in the palm. This accessory is worth around $300 from Kismet by Milka, and the pictogram represents happiness, good fortune, and health. It is normally used against “the evil eye”. Before her engagement to Prince Harry, the former actress had a blog called “The Tig”, where she posted about meditation and her spirituality. She would often quote Elizabeth Gilbert’s Eat, Pray, Love, and anything by Deepak Chopra, the alternative medicine guru. 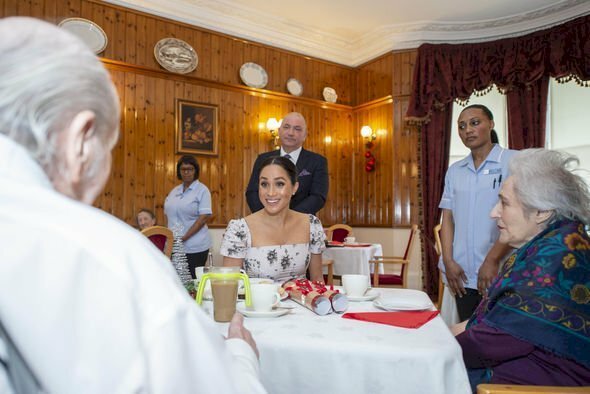 Meghan was also seen with the ring during the visit to the retirement home last Tuesday. What did you think of the outfits worn by our favorite royal couples? 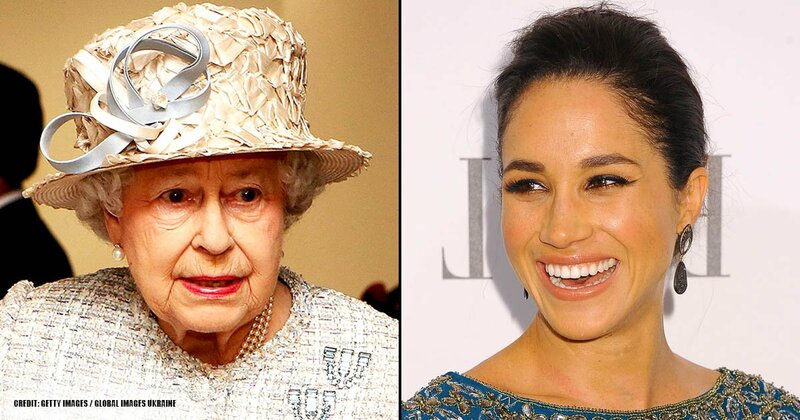 Camilla Parker Bowles and Princess Eugenie probably had to feel really bad to miss an important event hosted by the Queen herself, but we hope that they recover soon so that they can enjoy the upcoming end-of-year celebrations. If you liked this article, share it with your friends who love royal news. See you next time!